Original Ann Chery 2021 Latex waist trainer, colour Black. The guarantee for excellent quality and highly convenient wear ! 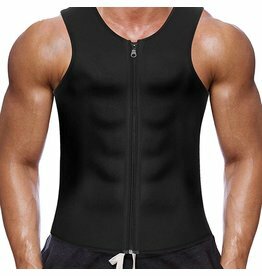 You can use these special waist trainers for working out without having any problems. Sport waist trainers are more flexible, lighter and more adaptable, so you can practice every sport you want to do. Latexwaisttrainer.com started out of a need we saw in the current Shapewear industry. The Shapewear market is growing incessantly, however we saw that a particular segment was underrepresented. We are referring to Colombian Shapewear. Colombian Shapewear is a niche in the Shapewear market. One of the products that has become increasingly popular is the Waist Trainer. The Waist Trainer is easiest to compare to the corset and was worn a lot during the Victorian ages. The corset had the sole purpose to tighten the waist of women to emulate an hourglass figure. Why buy a Waist Trainer? | The Colombians reinvented the corset and named it Faja. The Faja is predominantly known under the western name Waist Trainer. The Waist Trainer can be seen as the modern day corset. The Waist Trainer that is in high demand right now is the Waist Trainer made from 100% natural latex. The main reason latex is used is because when wrapped around your body it creates a mini sauna. This way you could burn fat locally much quicker. In addition, the latex in the Waist Trainer ensures that you lose toxins and other impurities at a fast rate and positively influences the weight loss process. The Waist Trainer uses a 3-hooks system with steel bones. The 3-hooks Waist Trainer makes it possible to enjoy the Waist Trainer for a long period. When you start losing weight, you can tighten the Waist Trainer further by using the second set and third set of hooks. Once you reach the third set of hooks, you will notice that on average you have lost about 5 centimeters around your waist.